Slowly but surely, the fashion industry has made its way through the animal kingdom over the last couple seasons, drawing inspiration from all manner of creatures great and small. From leopard and dalmatian to zebra and cow, it's an eclectic fashion safari out there. But 2019 sees a new addition to the lineup, and this time, it's a little more cold-blooded: Welcome to the year of the snake. According to shopping app LiketoKnowIt, since August 2018, the growth of snakeskin product clicks has increased by 300% each month. Out of all animal prints, snake is definitely one of the most extroverted options, and for me, it summons images of the skintight dresses and awkward calf-length boots worn by girl-band members of the '90s. And while it hasn't lost any of its unapologetic impacts, the 2019 offering is a little more varied and certainly more refined. While you can easily go all-out with the print (see Topshop's red dress below), it's also possible to drop the merest hint. Think printed belts, crossbody bags or flash of snake-print boots under wide-leg jeans. IMHO, nothing adds a little rock 'n' roll edge to flared denim and white shirt better than snake-print shoes. The high street is positively jam-packed with snake-print pieces (& Other Stories is looking particularly good right now), so the trend is perfect for those on a budget. 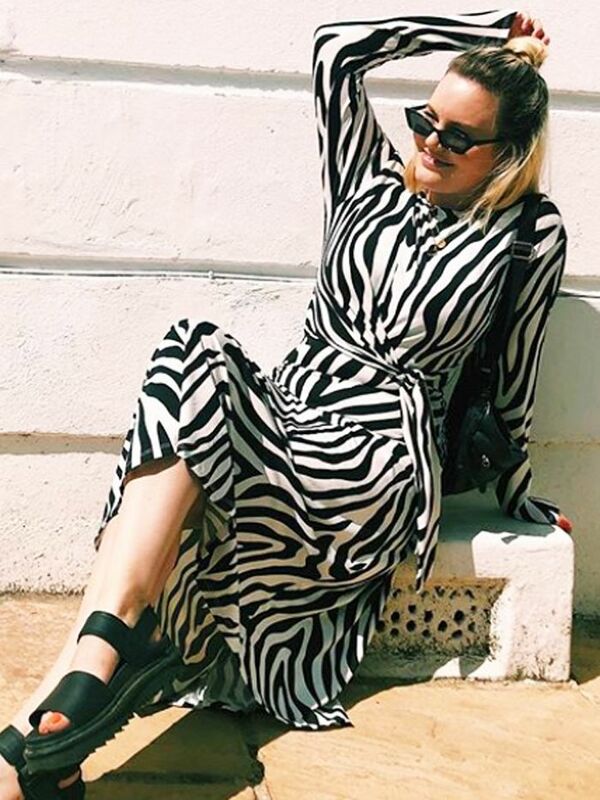 If you're in need of a little more inspo, scroll to shop our favourite snake-print pieces and see how the fashion crowd have styled theirs. Style Notes: Our resident Carrie Bradshaw gal Emili Sindlev embraces the statement-making powers of snake print with printed trousers and a vibrant pink coat. Style Notes: A snake-print box bag offers the merest nod to the trend, however, it certainly doesn't lack impact when paired with neutral separates. Style Notes: This Topshop snakeskin dress is a veritable celebration of the print. It's not subtle, but boy, will it turn heads. Style Notes: Laura's Mango crossbody bag looks achingly cool next to her & Other Stories '70s-inspired mint-green jacket. Style Notes: ASOS Sophia's bold, printed coat is made to feel timeless with a black roll-neck and tailored trousers. A more subtle snake-print skirt option. The sheer trend meets snake print. Belted tops are going to spike in 2019. This is a gift that'll keep on giving. Layer this baby under a white shirt. This will go with everything from jackets to midi dresses. A must-have for winter layering. A chic addition to a beige blazer. This looks even better IRL. The asymmetric print is so cool on these. Printed trousers for every occasion. This would look super cool with a chunky pink knit.